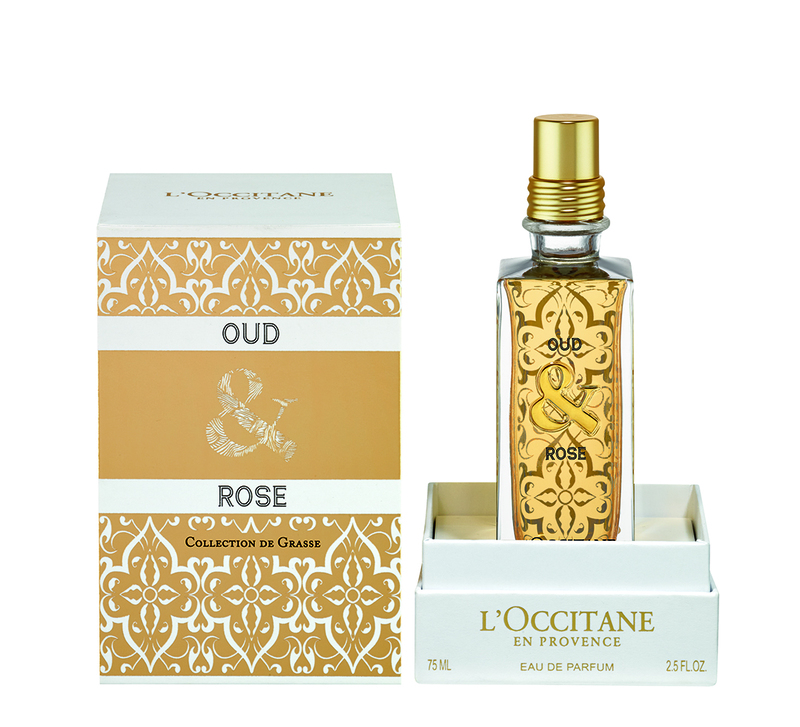 L’OCCITANE EN PROVENCE, the international skincare and beauty brand, has added an Arabian touch to its signature French creations, with the Oud & Rose collection. The range is part of La Collection de Grasse, named after the Mediterranean city of Grasse in Provence, known as the “perfume capital of the world”. The city’s expertise in the creation of original fragrances with precious ingredients from distant lands shines through with this captivating range, which features an Eau de Parfum, a shimmering shower gel and decadent body milk. Grasse’s most beautiful flower forms the heart of this fragrance, while its oriental nature is emphasized with Vanilla, dried Patchouli leaves and Oud wood. An authentic Mashrabiya design decorates the precious bottle containing the amber-coloured Oud & Rose Eau de Parfum. With its delicate amber hue, the Oud & Rose Shimmering Shower Gel leaves a beautiful golden shimmer on the skin, accompanied by the captivating, lingering notes of the classical woody Oud and the soft Rose. Treat your skin to Arabian opulence with the Oud & Rose Shimmering Body Milk, which moisturizes and softens the skin, whilst leaving it fragranced with the signature warm and spellbinding scent of the range. The entire Oud & Rose range of products is available in a special gift set, exclusively created for the Middle East.